Our new FlowFX cat-back exhaust system is manufactured using durable 409 stainless steel throughout and features a 3.00 inch inlet pipe leading to a single inlet/dual outlet FlowFX "straight-through" muffler for great sound and maximum performance. 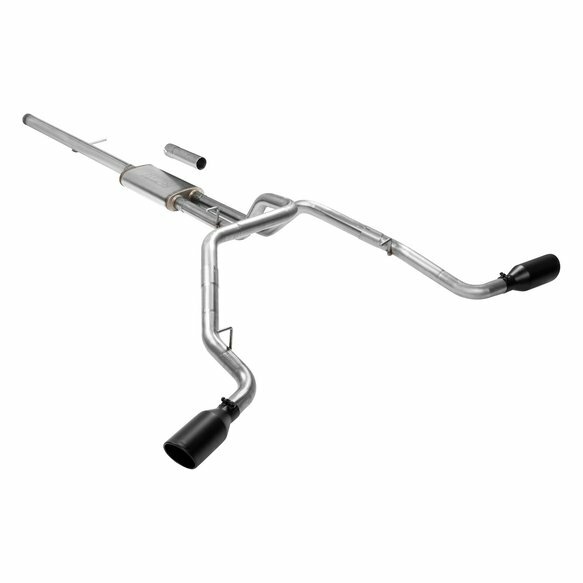 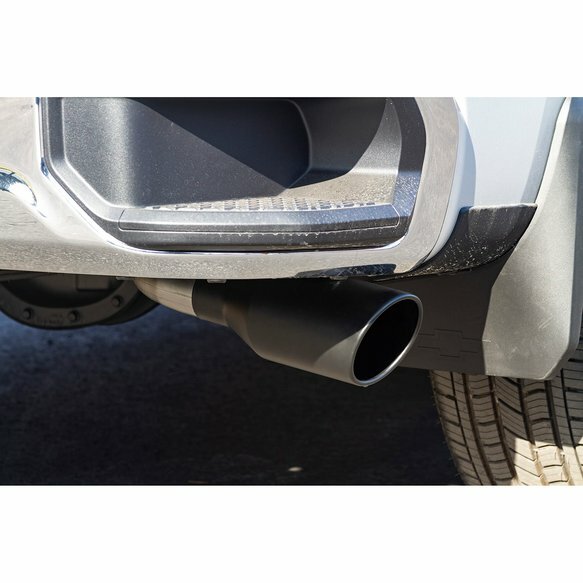 The dual 2.50 inch mandrel bent tailpipes exit out the side at an angle behind the rear wheels directing exhaust away from your boat or travel trailer when towing. 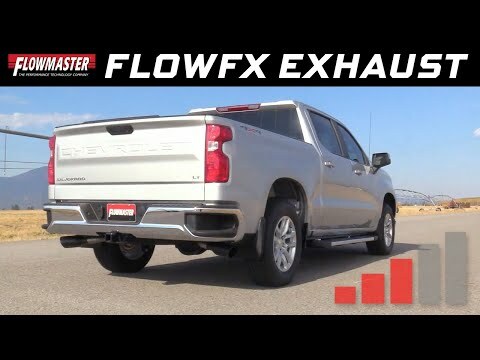 The system is finished off with a pair of large 4.50 inch diameter black ceramic coated 304S stainless steel tips, giving your truck a custom look that goes hand in hand with that deep performance FlowFX sound. 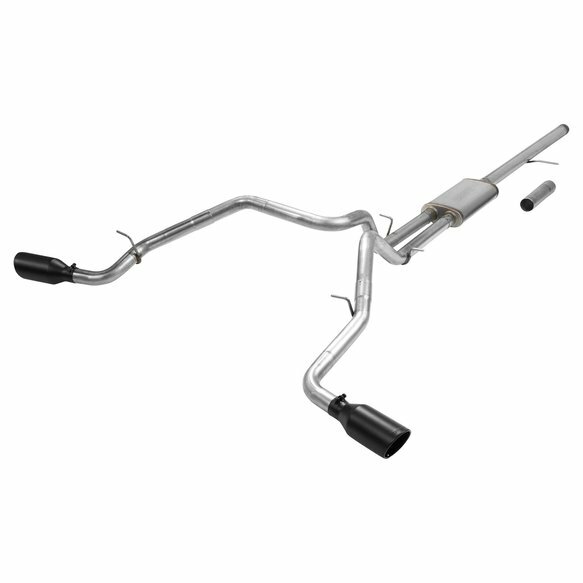 The system uses all the existing factory hanger locations and includes an additional hanger to install the new left side tailpipe. 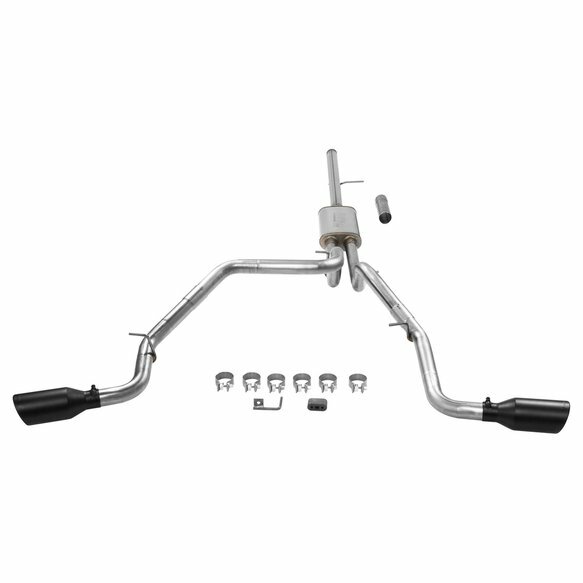 Includes installation instructions and all necessary hardware for an easy installation that you can do at home. 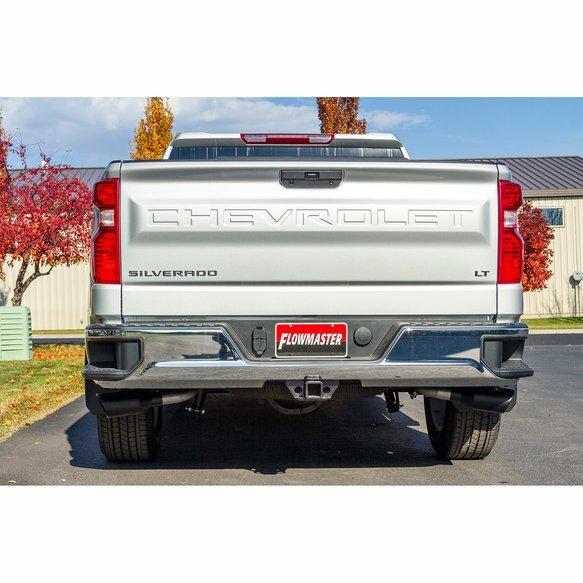 Note: Fits 2wd and 4wd models. 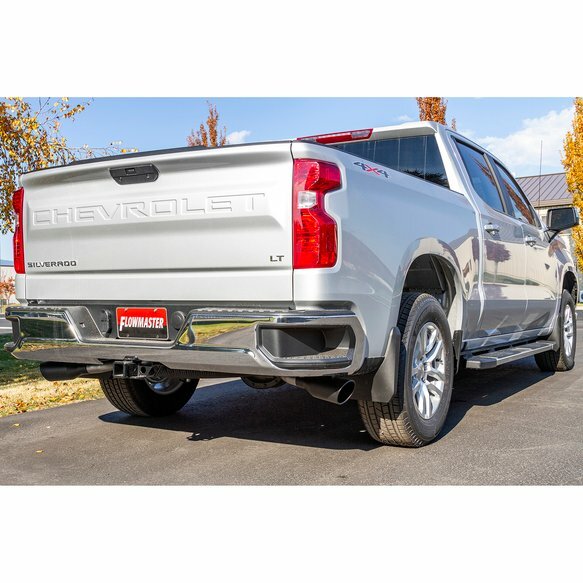 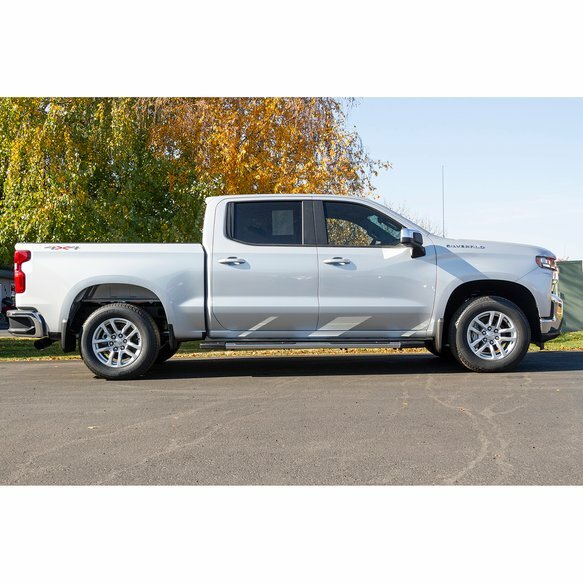 Does not fit Crew Cab 2WD with 2 pc driveshaft or trucks with factory dual tailpipe exhaust systems.